Newcomer Family Obituaries - Peter J Brown, Sr. 1936 - 2019 - Newcomer Cremations, Funerals & Receptions. 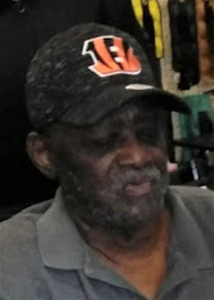 Brown, Peter J age 82, of Cincinnati, Ohio passed away on Saturday, February 9, 2019. He was born in Cincinnati, Ohio on November 21, 1936 to Ardie and Bessie Mae Brown (nee House). He was preceded in death by his parents, Ardie Brown, Bessie Mae Brown. He is also preceded in death by his sister and four brothers. Peter is survived by his son, Peter Brown, Jr.; granddaughter, Jasmine McGee; brothers, Edward Brown, Bill Brown, Ardie Brown, Elijah Brown; sister, Christine Brown; nieces, Debbie Brown, Mickcole Brown, Bre Brown; sister-in-law, Virginia Brown; devoted cousin, Eileen Menefield; and a host of other family members and friends. To share a memory of Peter or leave a special message for his family, please click the Share Memories button above. Add your memories to the guest book of Peter Brown, Sr.. I will always remember Cousin Peter James for his sharp tongue lashing he could give you in a blink of an eye. He was the best cook ever!!!! R.I.P. Cousin Peter James!